i was a little amused by his enthusiasm the day mike excitedly told me that he had ordered a juicer from amazon, but this is seriously one of the best purchases he’s ever made! it is so fun to make all sorts of concoctions and the juice is so fulfilling. it’s also a great way to get veggies that we don’t often eat, like carrots and tomatoes. this creation (carrots, apples, mangoes, grapes, and pomegranates) was probably my favorite of all the ones we’ve made so far. delicious! 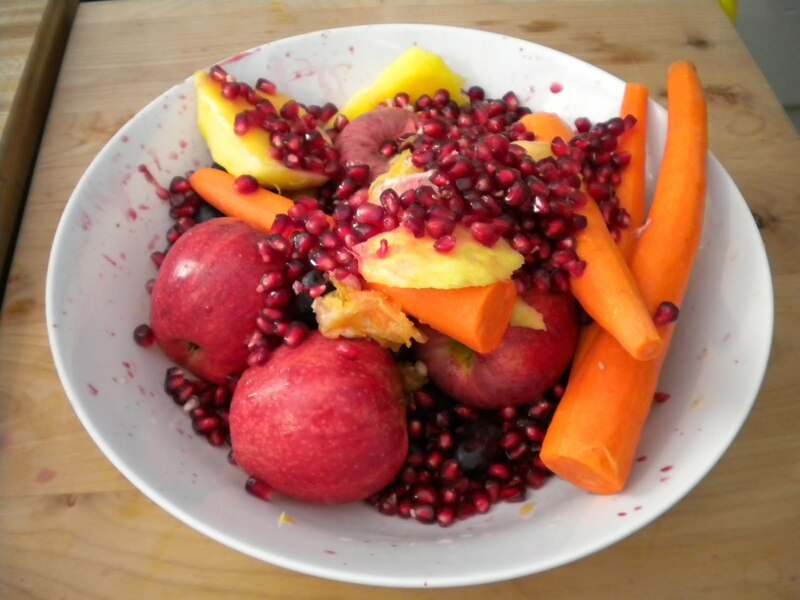 This entry was posted in Cooking and tagged cooking, fruit, juice, juicer, vegetables. Bookmark the permalink.